Research by the Financial Times found that institutional investment funds that observe environmental and social standards “tend to outperform those that don’t by a significant margin”. Indeed, the report goes on to say that anyone foolish enough to have invested in US coal in June 2014 would have lost 85% within 18 months. Bertrand Piccard has long spoken of environmental challenges through the lens of profitability, encouraging investment in sustainable projects. That’s why we are excited to announce our agreement to work with Innpact. Based in Luxembourg and founded in 2007, they provide innovative advisory, consulting and management services for impact finance initiatives, and to date have undertaken over 70 impact finance projects accounting for some 4.5bn EUR worth of assets. They make for an ideal collaborator for the Solar Impulse Foundation; their expertise and connection with like-minded impact-investment funds serving as excellent support to our effort to find 1000 clean, efficient and profitable solutions. 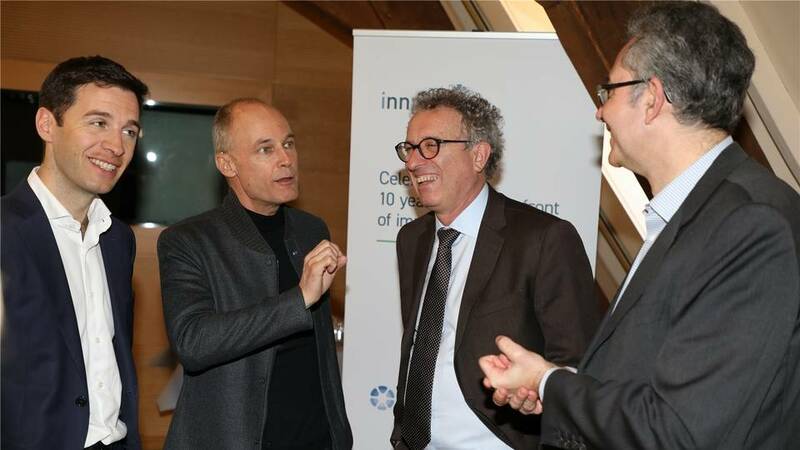 On Innpact’s tenth anniversary, the day this agreement was signed, Bertrand Piccard spoke of how "the success of companies such as Innpact is proof that today it is possible to generate positive environmental and social impacts as well as a financial return. Investing in innovative business models is logical, even more than ecological. It creates jobs, improves quality of life, and generates clean, sustainable growth that is largely preferable to the current status quo." The success of impact investors in recent years is encouraging, and the inclusion of Environmental, Social and Governance (ESG) criteria in investment decisions is becoming ever more common so as to properly quantify risk and make informed decisions. However, even more could be done; a report by the Principles for Responsible Investment (PRI) network found that many asset owners consider fiduciary duty - the legal obligation of one party to act in the best interest of another, often a shareholder - as an obstacle to the integration of ESG concerns. They are therefore pushing for ESG criteria to be incorporated into the definition of fiduciary duty. Our efforts to identifying profitable solutions that protect the environment - and working with Innpact to do just this - will further help dispel the notion that sustainability is a costly exercise rather than just good business sense. Innpact have already worked with a wide range of partners over the years working toward achieving the Sustainable Development Goals; this includes Nexus, whose Pioneer Facility provides working capital for enterprises producing and distributing clean water, sanitation solutions and sustainable energy for low-income populations in Asia and Africa. And also the Renewable Energy Performance Platform, which seeks to mobilise investment in small and medium-scale renewable energy projects (up to 25 Mw) in sub-Saharan Africa. Check out Innpact’s website for more info. We look forward to the start of a fruitful collaboration with Innpact.